Survey results are in! Eco beach wear, fair trade clothing and travels. Earlier in January this year, I decided to run a little survey about views/perceptions and habits that people may have in regards to eco-wear, fair trade clothing and travels. To entice people in participating, I gave away free bamboo beach towels. You can have a look at the promo video here. I had a short period of time to conduct the survey and a limited budget to promote it. I was also in a rush to move house from Victoria to Queensland. So, I took only 4 days in the middle of a box packing mayhem to do the survey but still managed to get 19 respondents. So, a big thank you to all of you who participated…. I know that January was a while back but thanks to an interstate move, a new job and a cyclone (ah Debbie) ….. I had been delayed in providing you with the results. My apologies. So, without further due…. Tada! Results are in…..
And because I don’t want you to be bored with stats – here – is a little explanatory video. For those who prefer reading or both …here is a portrait of you, dear respondent. 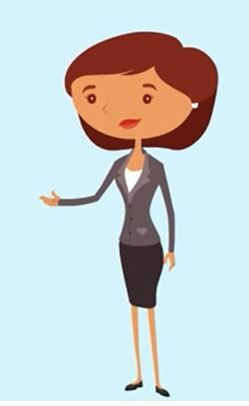 You – though I give you a name, hope you don’t mind – Say hello to Martine! Martine is on the more mature spectrum of the age scale…. Circa 40 and lives in suburbia or a regional town. Noting that I only invited individuals from New South Whales and Victoria to respond, Martine is from Victoria. Natural fibres like organic cotton is the most important garment eco-attribute for Martine, but Made in Australia and Fair Trade both come in second place. 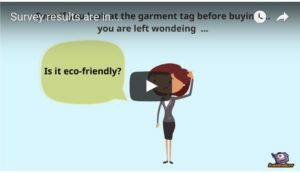 Martine, like most of you, had a look at the garment tag before buying her last piece of clothing but Martine just like most of you could not figure out if it was made in a sweat shop or not and if it could be considered eco-friendly. Most of you are concerned about sweat shops and agricultural practices. Martine would like to buy more eco-friendly/fair trade clothing but she finds those items too pricey. Some of you struggle to ensure that what you are buying was made in decent conditions and with decent materials. Lack of accessibility or presence in the market was also mentioned as being problematic. Martine’s favourite place to go on holiday is her own county (and why would she not…..). Martine is a fan of the outdoors and considers herself sociable. She prefers to be contacted via e-mail but when she uses social media she prefers Facebook followed by Instagram and Snapchat. Traditional magazines are not her cup of tea. She spends between $20 and $100 per year on beach wear. Martine, like the vast majority of you wants to buy more fair trade/eco-friendly clothes in the next year. Do you think I am spot on or on an other planet? Unfortunately, I have no more beach towels to give for now but if you want to do the survey ( it takes less than 10 minutes) I encourage you to do so ….. It is quite fun and will make you think… Please follow the link here. When/if I get more respondent, I will keep you posted on the results…. Until then… go on…. Come with us and explore the world.